What a pleasant surprise! I'm not normally a fan of wide tipped pens, but I saw this one at Wal-Mart and figured what the heck. 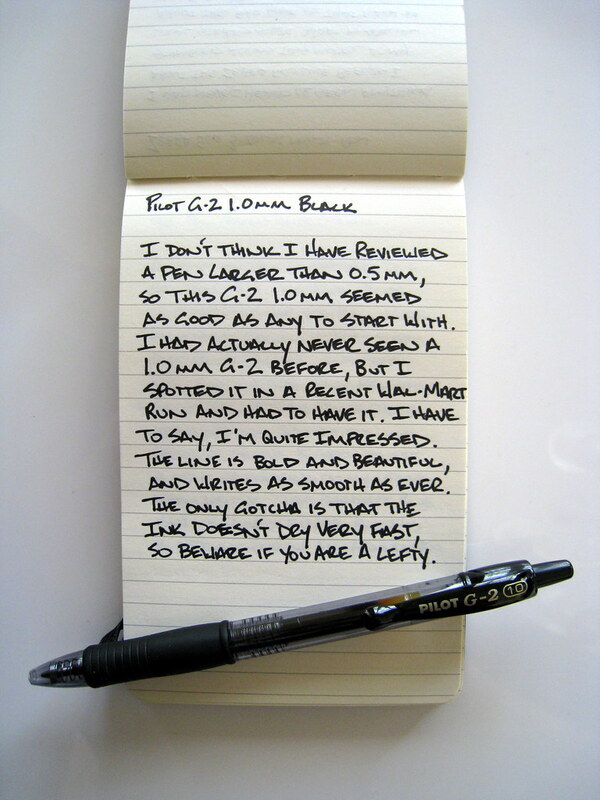 The Pilot G-2 1.0mm writes wonderfully smooth, with a solid jet black line. It does take a moment to dry due to the amount of ink being laid down on the paper, but other than that, I was very happy with this pen. I will have to make more time for this one. Posted on April 15, 2008 by Brad Dowdy.